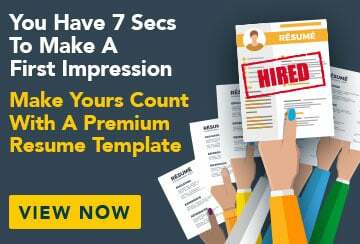 This free sample cover letter for a group fitness instructor/programmer has an accompanying group fitness instructor/programmer sample resume and group fitness instructor/programmer sample job ad to help you put together a winning job application. Please accept my application for the advertised position of Group Fitness Programmer at Golden Leisure Centres. I believe that my qualifications, extensive background in and passion for all things exercise, fitness and training make me an ideal candidate for this role. I am keen to join the team at Golden Leisure Centres, a company that has an excellent reputation in all fields of corporate health management, and renowned for providing excellent opportunities to young trainers. By way of qualifications, I have a Bachelor of Sport and Exercise Science from James Cook University, several First Aid certificates, have completed sport/remedial massage courses and have done management training. My areas of expertise are fitness assessments and muscle testing, and one-on-one and group training sessions. I am experienced in remedial, Swedish and sports massage and am familiar with all facets of OH&S. As Health and Lifestyle Instructor at Gearsons, I honed my group fitness skills and initiated a number of educational seminars and health awareness programs, as well as organised company fitness competitions. Working as a Personal Trainer at Meredith Hotel prior to that, I lead one-on-one fitness training with a broad range of clientele as well as assisted with marketing the hotel’s fitness services. I have also worked with athletes, training and fitness testing the Sunshine Football Team. My work experience has allowed me to gain experience with a broad spectrum of physical needs and different roles within the fitness environment. My experience has also given me excellent time management and organisational skills. I am outgoing, organised and compassionate, and I am able to motivate people with my energy and enthusiasm. I enjoy the companionship of my clients and colleagues and am confident in my ability to become an outstanding member of your team. Please find my resume and references enclosed.